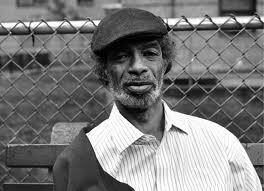 I was saddened to read that poet-singer-musician Gil Scott-Heron has passed away at the age of 62. He was one of those musician-writers who was a pioneer, someone who Had Done It All First and from whom generations of younger artists still take inspiration and work in his shadow. Along with the work of the Last Poets, it is possible to opine that what we acknowledge as the art of Rap/Hip Hop would not exist. It's possible to debate the merits of hip hop over the long run, but it is indisputable that Gil Scott-Heron was instrumental in changing the way musicians and writers viewed their artistic mission. Not many people are game changers to that degree,and that, along with the intensity of the actual work, commands respect. Without the work of GSH, what we would have would be something quite different and , I think, quite less potent. What I found especially powerful in Gil Scott-Heron's work was that he was one of the very few at the time to harness his rage , his anger into a art that , beyond being a powerful joining of minimalist musical and rhythmic forms and street-level irony, was his tendency for self-criticism. "The Revolution Will Not be Televised" is as powerful piece of truth telling as has ever been created in musical formation; to this day , the message rings true, for us all not to be distracted by the dog and pony shows centralized corporate media throws at us, to get off our couches and get busy creating the change we wish someone else would bring us and entertain us with. We have to be our own Messiahs. so said Gil Scott-Heron.